Panama Lime Auto Seeds Review. If you’ve been under the impression that strong Sativa Cannabis seeds are hard to grow, Panama Lime Auto seeds are here to change all that. As part of the range of Flash Seeds Super Sativa’s, these must be some of the easiest seeds we have ever seen, yet the outcome is still top drawer. 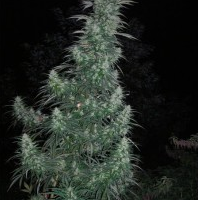 Even with a super quick 90 – 105 day life cycle, this baby still has flowers bursting out of every corner ensuring yields can be as much as 450 grams per plant, all without any hassle at all. Panama Lime Cannabis seeds are perfect for the commercial grower as they deliver ROI with ease, offering a fabulous euphoric, uplifting high that is really fully viable. The cross of Panama, Mango Biche and Stitch 0.2 also ensures these autoflowering Cannabis seeds are truly therapeutic too with the ability to ease pain, stress and depression along the way. When you want it all, but don’t want to go to any effort to get it, Buy Panama Lime marijuana seeds and let the good times come to you.